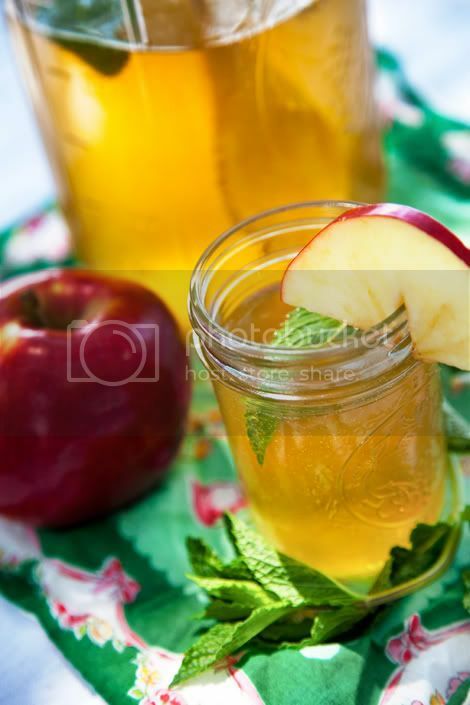 Store-bought Martinelli’s apple juice is the base for this refreshing, picnic-worthy summer punch recipe but don’t discount apples in July! 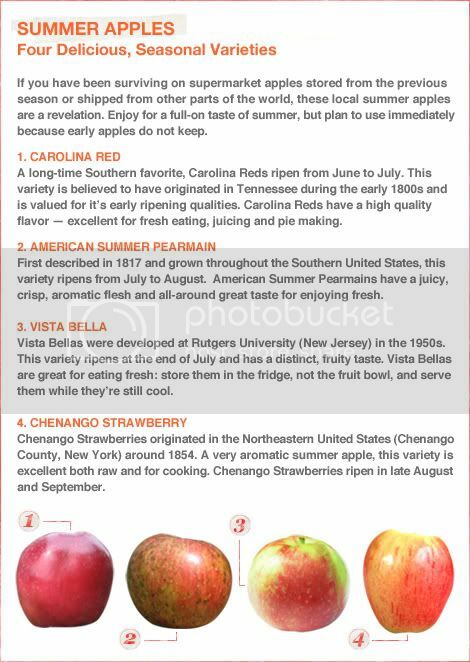 There are some noteworthy seasonal varieties that home-juicers can turn into fresh apple juice during the dog days of summer. Start to prepare the punch: Bring the water to a boil in a small saucepan, over medium-high heat. Turn off the heat, add the tea leaves or bags and let steep for 6 minutes. Remove the tea leaves and let the tea cool to room temperature, about 45 minutes. In the meantime, prepare the simple syrup: Bring the water and sugar to a boil in a small saucepan, over medium heat. Stir occasionally, until the sugar has dissolved, about 3 minutes. Remove the pan from the heat and add the mint leaves. Let the syrup cool to room temperature, about 20 minutes; strain before using. Pour the cooled tea into a large pitcher. Add the apple juice, Mint Simple Syrup and lemon juice. Refrigerate until ready to serve. To serve: Add the sparkling water and pour the punch into small glasses. Garnish with apple slices and fresh mint leaves, if desired.